A new study has indicated that men who drink coffee in the Italian style are less likely to suffer from prostate cancer. The study, researched out of Rome and consisting of 7,000 Italian men alongside laboratory studies, shows that those men who drink more than 3 Italian-style coffee cups each and every day reduce the risk of prostate cancer by over 50 per cent. It goes to show that the health benefits of coffee, especially good quality coffee, are real for all to see. If there was ever a reason needed to drink more coffee each day, here it is! The study was conducted by Government researchers in Rome and found that the risk of the common cancer significantly decreased for those coffee lovers who prepared their hot beverage in a certain Italian way. Prostate cancer is common and will affect 1 in 8 men in the UK. The way in which Italian coffee is prepared could be the reason behind the findings, with the coffee prepared with no filters, a very high temperature of water used to prepare it and high pressure. The International Journal of Cancer published the study, which was intended to provide a clearer view of the impact of caffeine on prostate health. It has already been discovered in other findings in recent years that coffee drinkers are likely to have a reduced risk of a number of diseases and conditions, from heart disease to cancer. 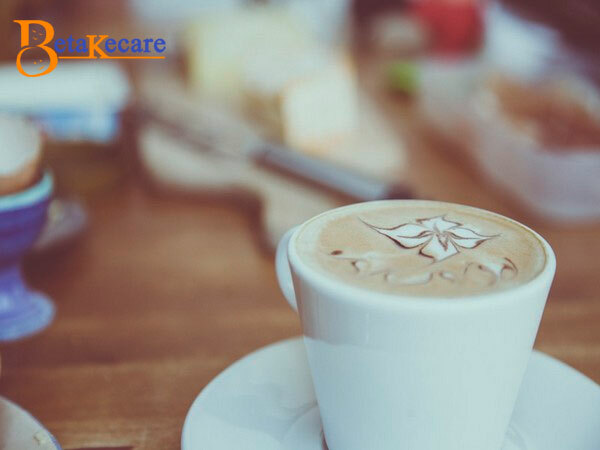 It has been thought that coffee could be seen as a protective drink that could potentially ward off illnesses in later life (thought this has yet to be confirmed despite these recent findings). Coffee consumption was studies in the male residents of Coliseum over the course of four years and there was a 53% decrease in the risk of prostate cancer in those males who drank three or more cups of Italian style coffee each day. Coffee extracts, using both those with caffeine and without, were then tested in the laboratory on prostate cancer cells to seek confirmation of the results found through the participants. The laboratory setting displayed beneficial effects amongst the 7,000 participants and it was deduced that this was most likely down to the caffeine found in the coffee that was consumed, rather than the other substances found in the making of coffee. Researchers believe that the specific way, in which Italian coffee is made, at about 190 degrees in temperature and high-pressure water, could be the reason behind the findings. When no filters are used there is a lower loss of bio active compounds within the final product and this is currently being researched as a potential factor in the prevention of many diseases, cancer included. These findings are an interesting new part of the journey in the research for a cure for cancer, and once again shows that there are a number of health benefits associated with caffeine, and in particular coffee. With so many people the world over enjoying a strong cup of Italian coffee each day it could turn out to be the elixir we’ve all been searching for. Next articleChild parenting: The biopsychosocial ways to be a good parent to your children.